Hire plastic moving boxes online; they’re convenient, affordable and eco-friendly. To hire plastic moving boxes, use the plus and minus buttons to set the number of boxes you need, click Add to cart and provide your details. We’ll deliver your Ecoboxes to you, at a date and time you choose. 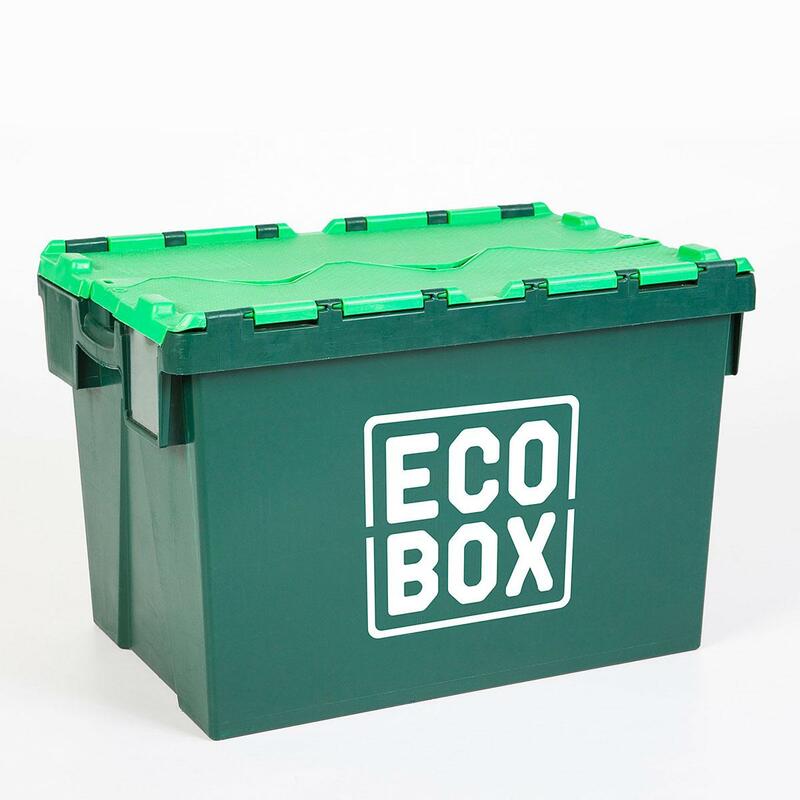 Each Ecobox is a sturdy, sealable, plastic moving box, with a 70-litre capacity and standard dimensions of 600 x 400 x 400 mm. Ecoboxes are suitable for all kinds of home and office moves, and as plastic storage boxes. They won’t sag or split, aren’t susceptible to damage due to moisture and provide protection even for more fragile items. They also don’t have to be assembled or manually sealed using packaging tape. 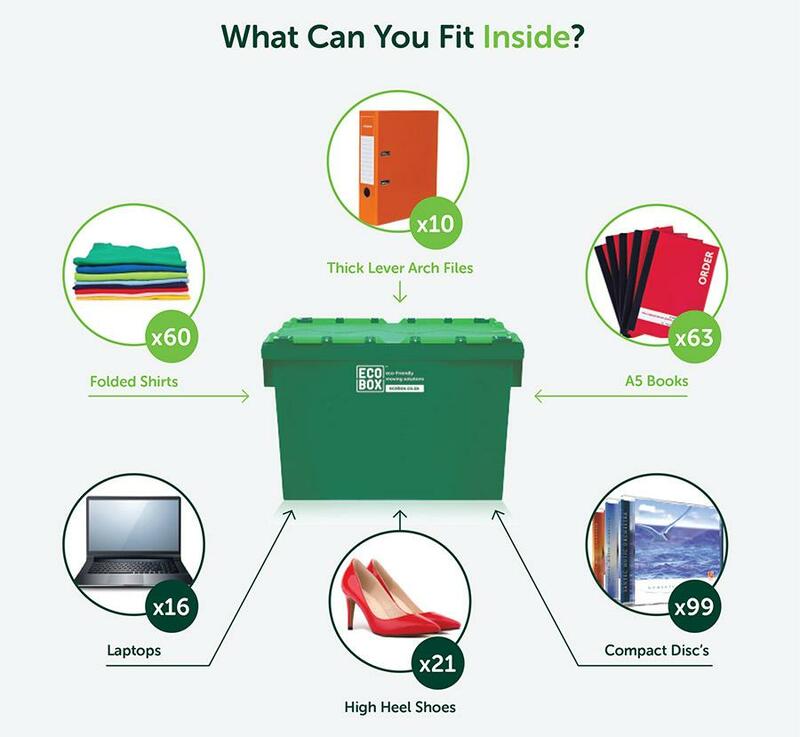 You can choose to rent any number of our eco-friendly boxes and we’ll deliver them to your doorstep. Once you’ve finished with the boxes, we’ll pick them up again, at a time that suits you.